A group of 20 feminist theologians have published “A Women’s Bible,” which provides alternative interpretations of traditional scripture and aims to challenge text that might justify the subjugation of women. 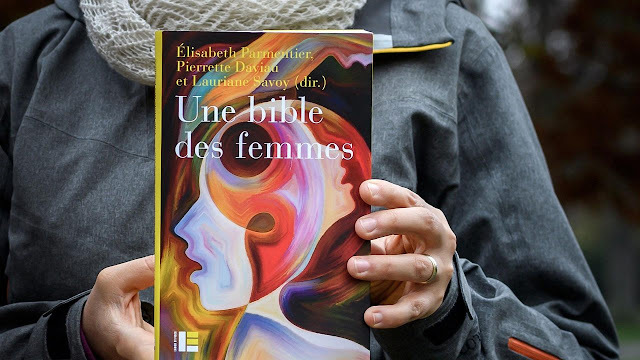 “Une Bible des Femmes” (“A Women’s Bible”) was the brainchild of two theology professors from Switzerland and hit the market in October. Lauriane Savoy and Elisabeth Parmentier of the University of Geneva joined forces with 18 other women — half Catholic, the rest varying denominations of Protestants — to create a version of the Good Book that is applicable in the age of the #MeToo movement. “Feminist values and reading the Bible are not incompatible,” Savoy told AFP. Parmentier pointed to a story in the Gospel of Luke, which tells of Jesus visiting the home of Martha and her sister, Mary. Savoy contends that Mary Magdalene’s role has also been misunderstood in many Biblical interpretations. “This is a fundamental character, but she is described as a prostitute … and even as Jesus’ lover in recent fiction,” the professor added, insisting that Mary Magdalene has gotten a raw deal from other scholars. The authors’ intent was to put the ancient writings in an appropriate historical context. LOL!! The original Bible stretches the truth throughout. One can just imagine this Feminist "Bible", will stretch it to the absolute breaking point and beyond.